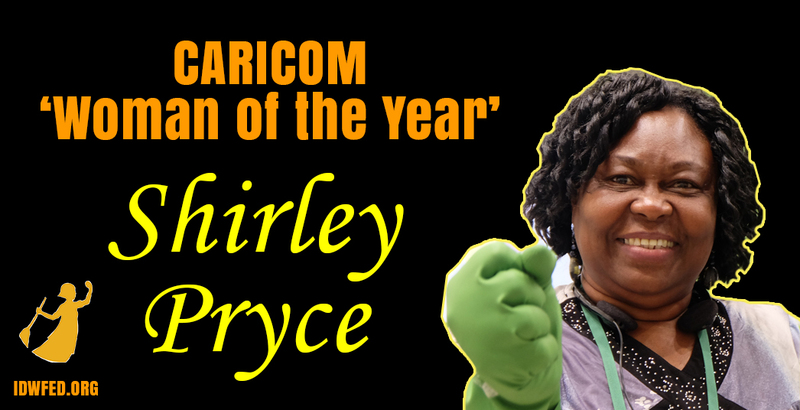 You are here: Home / Updates / Jamaica: Shirley Pryce is CARICOM "Woman of the Year"
Heartiest congratulations to Jamaica's very own, Shirley Pryce, the 2017 recipient of the Caricom Triennial Award for Women. Shirley has done sterling work in advocating for the rights of Domestic Workers in Jamaica and the wider Caribbean Region. Jamaica was the first in the region and Caricom to ratify the ILO Convention (189) known as the Domestic Workers Convention. My administration is committed to empowering women economically. Shirley has done herself and all Jamaica proud. She received a standing ovation as the award was presented during the opening ceremony of the 38th Heads of Government meeting of Caricom. Congrats again Shirley. We are proud of you. Founder and president of the Jamaica Household Workers Union (JHWU) Shirley Pryce has been awarded the 12th CARICOM Triennial Award for Women. The prestigious award is being conferred for outstanding contribution to Trade Unionism & Women and Development in the Caribbean Community. Minister of Labour and Social Security Shahine Robinson has expressed sincere congratulations and special commendations to Pryce, who will collect her award on July 4, 2017 in a ceremony at the 38th Heads of Government of CARICOM Conference in Grenada. 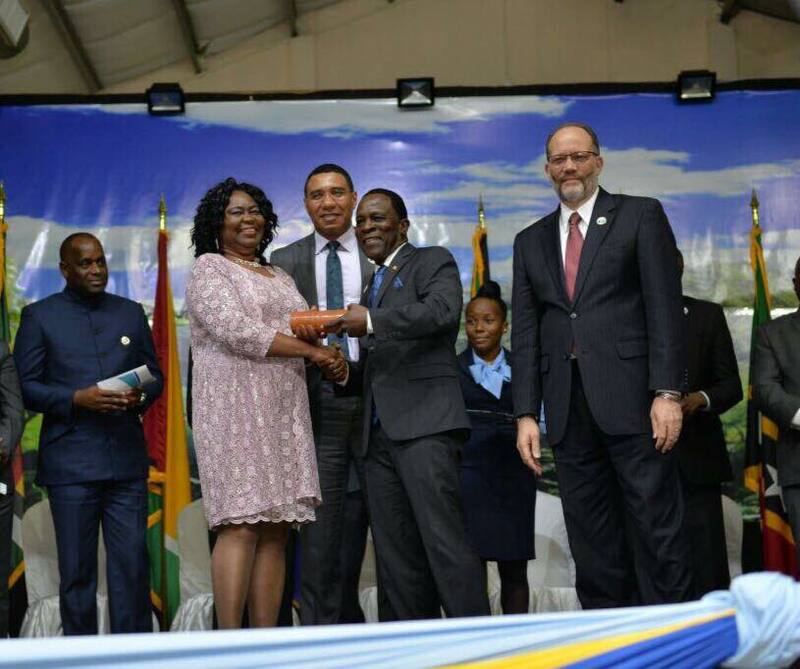 The ministry in a release said it is delighted in this well-deserved accolade and recognition, as Pryce joins a distinguished rank of women in the region named as CARICOM 'Woman of the Year'. The ministry said the significant honour reflects the sustained advocacy by Pryce in promoting the rights and cause of domestic (household) workers in Jamaica. It also underscores her assiduous and tireless work in regional and international communities to protect and safeguard their interest and welfare. It added that Pryce played a pivotal leadership role in 2011 in Geneva, Switzerland, in the development and adoption of the ILO Convention for Domestic Workers, as well as its recent historic ratification by the Government of Jamaica. A dedicated human rights activist, Pryce is co-founder and current chairperson of the Caribbean Domestic Workers Network and serves as an executive member of the International Domestic Workers Federation, based in Hong Kong.